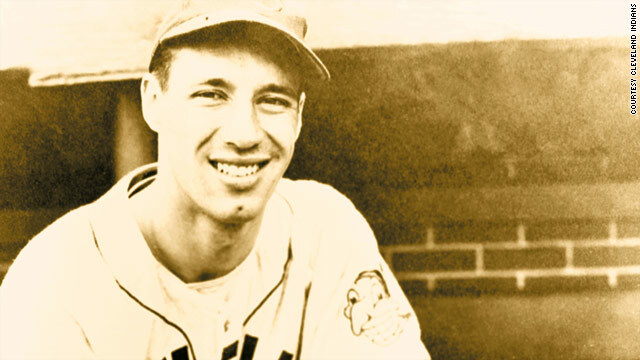 Hall of Fame pitcher Bob Feller, who played his entire 18-season Major League Baseball career with the Cleveland Indians, died Wednesday night of acute leukemia in Cleveland, according to a statement from the team. He was 92. Signed by the Indians at 17 in 1936, Feller overpowered batters with a fastball that could reach 100 mph and racked up 2,581 strikeouts and 266 wins by the time he retired in 1956. He had 19 wins in 1948, the last time the Indians won the World Series. "Bob has been such an integral part of our fabric, so much more than an ex-ballplayer, so much more than any Cleveland Indians player. He is Cleveland, Ohio," Indians owner Larry Dolan said. Feller was diagnosed with acute myeloid leukemia in August and had a pacemaker implanted at the Cleveland Clinic in October, according to the Indians. He was hospitalized with pneumonia in mid-November. World War II interrupted Feller’s baseball career for nearly four seasons, with Feller enlisting in the Navy the day after the December 7, 1941, Japanese attack on Pearl Harbor. When once asked what the most important game he won was, he responded, “World War II,” according to the Indians. The Van Meter, Iowa, native had a lifetime ERA of 3.25, 44 shutouts and three no-hitters, including the only opening-day no-hitter in Major League Baseball history, in April 1940. So Littleton - the one board member the gunman had released, because she was a woman - re-entered the room, sneaked up from behind and swung. "I was concerned about my guys," Littleton told CNN's "American Morning" on Wednesday. December has been a good month for U.S. stocks, so this week's lackluster action isn't upsetting investors much. Stocks have managed to eke out gains over the past few sessions and are up 5% for the month. 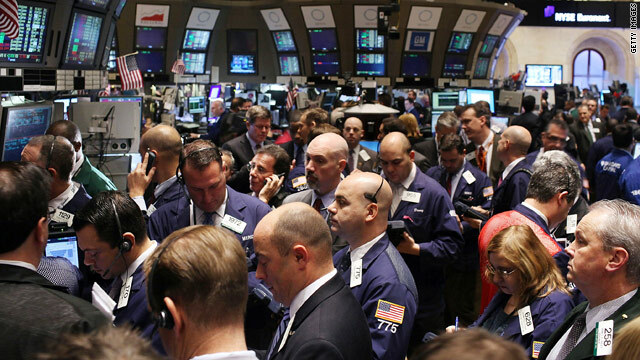 On Wednesday, the Dow Jones industrial average lost 19 points to end 0.2% lower at 11,457.47. The S&P 500 shed 6 points, or 0.5%, and the Nasdaq fell 11 points, or 0.4%. Unless there's some major news to drive investors to the sidelines, it looks like all three major indexes will see double-digit percentage gains for the year. In Wednesday's session, investors weighed worries about a possible Spain downgrade with relatively upbeat U.S. inflation data. A New York Jets coach has now been suspended indefinitely - instead of for the rest of this season - after the team learned he instructed players to stand with him near their sideline before he tripped a Miami Dolphins player, the team said Wednesday. 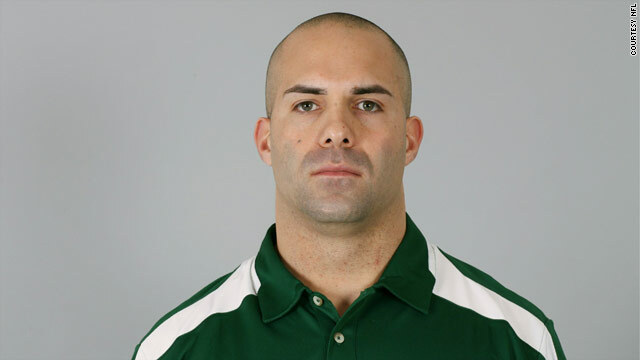 The Jets said they're still reviewing the case of strength and conditioning coach Sal Alosi, and that they could opt to fire him. Alosi tripped rookie Dolphins cornerback Nolan Carroll during a punt in third quarter of the Dolphins' 10-6 win over the Jets. "The players at the Miami game were instructed by Sal to stand where they were, to force the gunner in the game to run around them," Jets General Manager Mike Tannenbaum told reporters Wednesday. Is 2010 the year America was exposed? 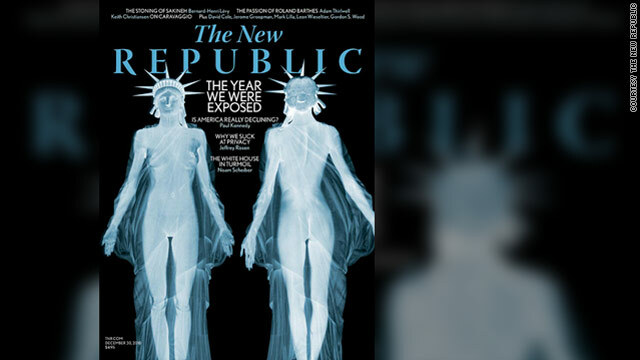 That's what The New Republic suggests in its latest issue, whose cover depicts Lady Liberty as she might appear to Transportation Security Administration agents if she were to pass through a body scanner in one of America's airports. On the body scanner controversy, journalist Jeffrey Rosen writes that "protecting privacy isn’t something that the U.S. government has ever done well," compared with European counterparts, because U.S. privacy offices lack independence and regulatory mettle. "And, while the Department of Homeland Security’s privacy office has broader legal authorities than most, it nevertheless failed to raise the obvious objections to the body scanners. That suggests the government needs a genuinely independent institution dedicated to protecting Americans’ privacy in order to avoid similar debacles in the future," Rosen writes. What do you think? 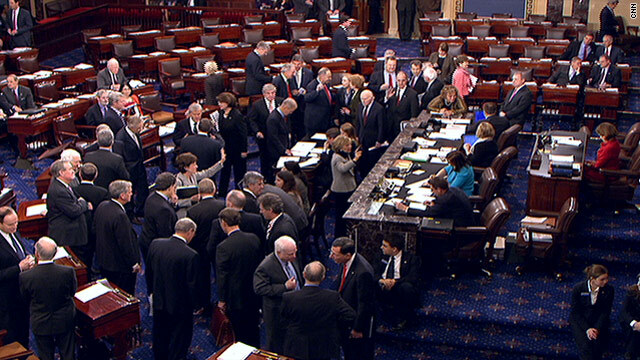 Was 2010 a turning point for privacy rights in America? Or just another year of passing tides? Leave your thoughts in the comments section. The House of Representatives voted Wednesday to overturn the ban on gays and lesbians serving openly in the U.S. military. The measure now advances to the Senate for further consideration. Let me begin with a disclaimer: I am a Dallas Cowboys fan and an opponent of drowning and electrocuting dogs, so I have two reasons to be skeptical of Michael Vick, especially after he shredded the ’Boys’ secondary Sunday. So when I read this morning that the Philadelphia Eagles quarterback (seen above leaving a Virginia courthouse after his 2008 guilty plea) would one day like to own a dog again – well, I was more than a little gobsmacked. Surely, I thought, he was making a passing quip. Of all the hell that rained down on him after his conviction – the prison sentence, the NFL suspension, the checkbook full of fines and retribution – the lifetime ban on owning a canine was the only provision that seemed a strong enough rebuke for his crimes. Alas, it was no quip. Not only was Vick serious when he made the remark to thegrio.com, but he went into detail on how owning a dog could help him in his rehabilitation. “I think it would be a big step for me in the rehabilitation process. I think just to have a pet in my household and to show people that I genuinely care, and my love, and my passion for animals,” he said. The Justice Department has filed a civil lawsuit in New Orleans against nine defendants in the Deepwater Horizon oil spill, a statement from the department said Wednesday. 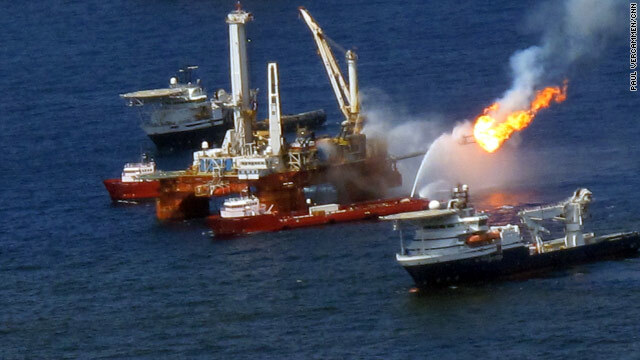 The suit asks the court for civil penalties under the Clean Water Act, and to declare eight of the defendants liable without limitations under the Oil Pollution Act for all removal costs and damages caused by the oil spill, including damages to natural resources, the statement said. The former oil tycoon will not learn the verdict of a Russian court for about two more weeks, his attorney says, adding no reason was given for the delay. 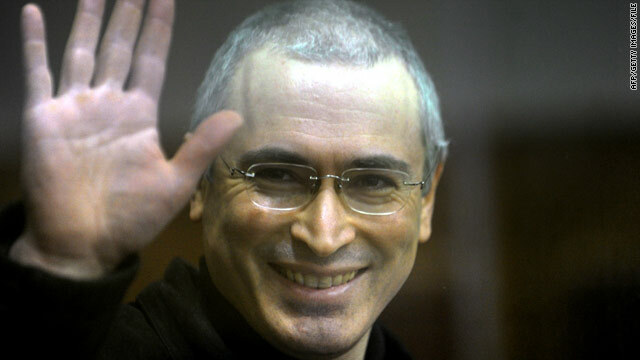 Khodorkovsky (pictured above) and his business partner, Platon Lebedev, have been behind bars for seven years on tax evasion convictions. They are presently charged with embezzling 218 tons of oil from Khodorkovsky’s firm, Yukos, and laundering more than 3 billion rubles (about $98 million), according to Russia’s state-run RIA Novosti. 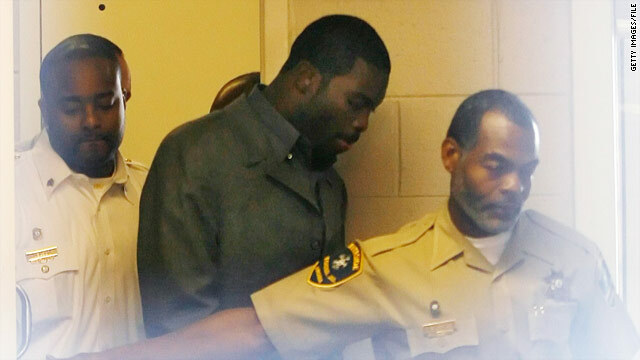 They are scheduled to hear a verdict in their new case December 27. Human rights groups and the center allege Khodorkovsky was targeted for challenging the Kremlin and for his efforts to promote democracy. 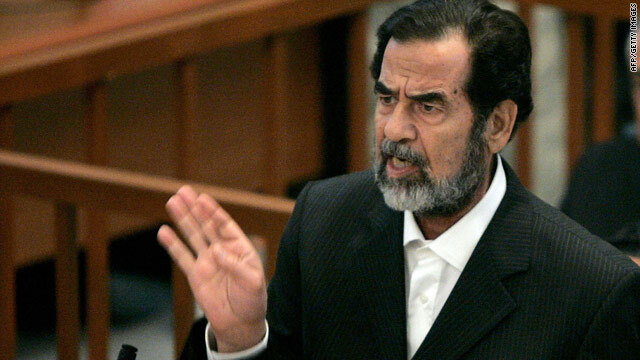 The U.N. Security Council voted Wednesday to end sanctions on Iraq that started during the Saddam Hussein era. One ends the oil-for-food program, and another ends resolutions and sanctions relating to weapons of mass destruction. A third ends the Iraqi Development Fund as of June 30. U.S. Vice President Joe Biden chaired the high-level meeting and praised Iraq's progress toward democracy and meeting its international obligations. 'Morning Cup of Conan' redux – If you missed your "Morning Cup of Conan," we've got your Conan fix for this afternoon. Other than zits and braces, Conan does an uncanny pre-teen-style video blog post. It was a typical school board meeting, with members discussing typical school issues. And then, all of a sudden, it was anything but. "We're at a board meeting, and we're talking about technology and head lice, and next thing we know, this guy's got a gun in our face," Bill Husfelt, superintendent of Bay District Schools in Panama City, Florida, said Wednesday. The Berkeley, California, City Council tabled a resolution Tuesday night that would have declared jailed Army Pfc. 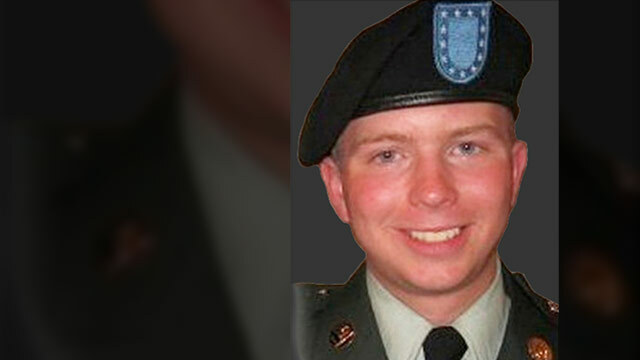 Bradley Manning a hero. Manning is accused of releasing documents to WikiLeaks, a website known for leaking official secrets. Manning is currently awaiting trial on charges of illegally downloading classified material and providing video of a 2007 helicopter attack in Iraq to WikiLeaks. The vote was 8-0, with one abstention, said Mary Kay Clunies-Ross, spokeswoman for Berkeley's city manager's office. The International Criminal Court named six Kenyan leaders, including the deputy prime minister, Wednesday suspected of organizing violence after the disputed 2007 election. 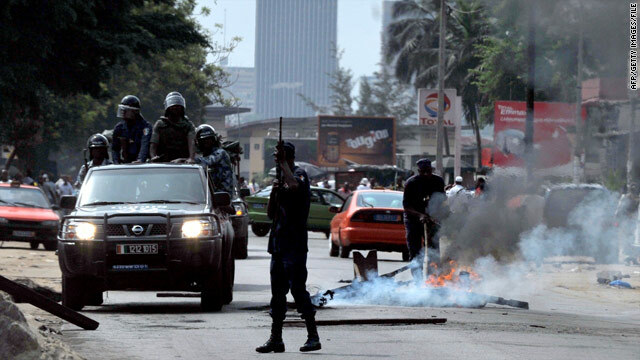 The violence left more than 1,000 people dead and displaced hundreds of thousands. 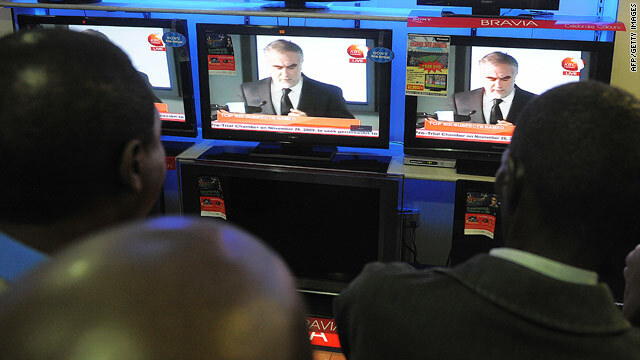 televisions to watch a live broadcast. U.N. Secretary-General Ban Ki-moon said the "political stalemate" in the Ivory Coast could lead to fighting and he repeated his call for the incumbent to leave office after losing the presidential runoff election last month. "The situation is taking a worrying turn with unfolding events that could lead to widespread violence," Ban said in a statement Wednesday. The developments include the recent threats by some commanders of the national security forces to resort to military options and clashes on Monday between security forces and ex-rebels supporting the internationally recognized winner of the election. Ban reiterated his call on all parties "to exercise patience and refrain from any actions that could, accidentally or deliberately, provoke violence." He said in the "currently charged political environment such actions could have unpredictable consequences, including reigniting civil war." Many people would argue it's been awhile since the New York Knicks were relevant for anything other than Spike Lee. And that it's been even longer since the Knicks and the Boston Celtics played a meaningful game against each other. But both of those are about to change. Two of the NBA’s original franchises square off tonight at Madison Square Garden (7 p.m. ET, ESPN) in a match-up some are labeling a renewed rivalry and others are vehemently playing down. For the most part, they haven’t. Since Kevin Garnett and Ray Allen joined up with Pierce in Boston, the Celtics have won 11 of 13 games against the Knicks, while New York has been known primarily for its losses over that period – whether they be on the court, in a court or in The King’s court. 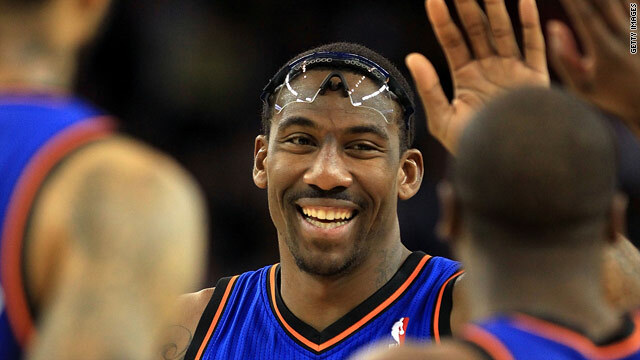 But the Knicks are now amid a renaissance led by free-agent addition and early MVP candidate Amar’e Stoudemire. New York has won 13 of its last 14 games and eight in a row, marking the team’s longest winning streak in more than 16 years. Due to the graphic nature of this story, we feel it’s necessary to reveal up front that none of the gunman’s targets in this video were actually hit. 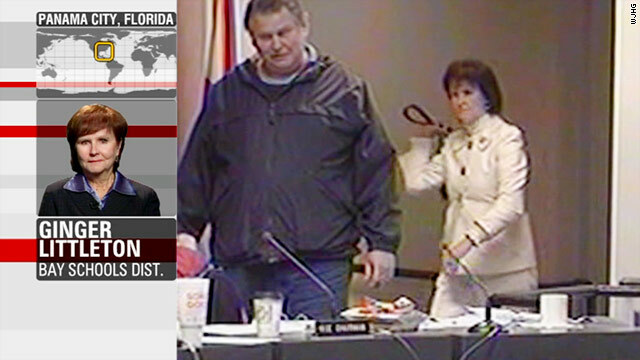 The scene unfolded Tuesday at the Bay County School Board meeting in Panama City, Florida. 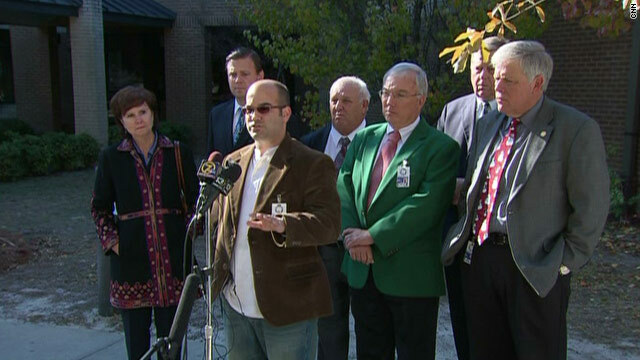 The gunman has been identified as Clay Duke, who told board members he was upset over sales taxes and the apparent firing of his wife. During a drawn out back-and-forth dispute with school board members, he said someone was going to die. Ultimately that someone was Duke, wounded by a security guard’s bullet, but killed by a self-inflicted gunshot to the head. 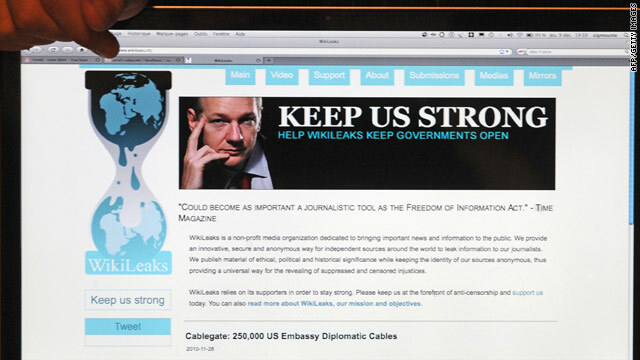 WikiLeaks - It started as an embarrassment to the U.S. government. Then supporters showed they could disrupt online services. The next round could be acts of civil disobedience - think of online World Trade Organization protesters. CNN's Jill Dougherty and Elise Labott examine the implications WikiLeaks is having on diplomacy around the world. We also take a look at the Air Force's decision to cut WikiLeaks news access as WikiLeaks founder Julian Assange remains in jail, Michael Moore explains why he offered money for Assange's bail and Assange's mother stands by her son. Tax deal - The Senate is set to vote Wednesday on the tax package negotiated by President Barack Obama and GOP leaders, but House Democrats are still arguing about possible changes.